The Complete Consumers Guide to Wind Power is now featured int the Ultimate Survival Bundle, a collection of the best preparedness books available - All in one digital package for only $29 . Hurry, this bundle will not be available after September 23. If you will let us, we would like to personally guide you through the maze of wind power. We want to help you have a successful wind energy system. After all, that is your dream right? To have a wind turbine churning out electricity for your daily needs. We'll be honest with you, it's not as easy as it sounds, but we'll help you get through the tough parts, so your dream can become a reality. "Slices cleanly through the dross and hype of todays small wind marketplace! An oasis of honest, well presented information on the small turbines being sold right now!" "A complete, in depth guide that will show you everything you need to know to successfully generate your own wind power!" We really had no clue what we were looking for when shopping for our first wind turbine. We knew nothing when it came to wind power. We just listened to what the salesman and the slick brochures said. 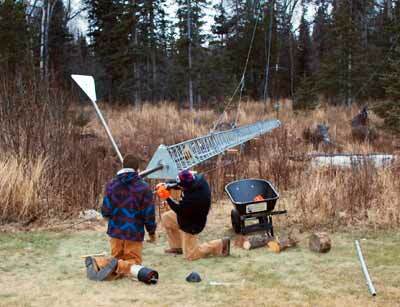 We eventually settled for a turbine that boasted a survival wind speed of 120 mph. Nice - so we thought. Our winds rarely gust above 60 mph so we should be good...right? "This time saving wind power ebook is absolutely priceless!" 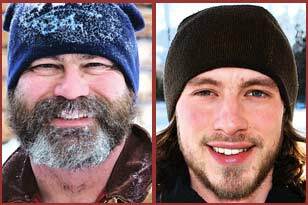 The turbine failed in ~30 mph winds - a far cry from the 120 mph survival speed advertised. Does that mean the turbine we installed was a piece of junk? Absolutely not! It may work fine for many locations but was not suitable for our harsh, winter winds. We walked blindly into the field of wind power and paid the price - A broken turbine, wasted time, money, and electricity. We want you to avoid the same mistakes we made. "The Complete Consumers' Guide To Wind Power ebook" sifts through marketing hype to make sure this doesn't happen to you. You will have a greater understanding of how they operate in real life situations - not just what a sales brochure claims. We have spent countless hours of research so you don't have to experiment by trial and error. You will learn from our first hand experience. do it once and do it right. All the hard work is already done for you! One of the biggest mistakes when shopping for a wind turbine is relying on the person behind the counter. They may know the industry lingo but what is most important is whether they have ever owned and operated one. What Will You Receive in This 200 + Page Ebook? The Complete Consumers Guide To Wind Power ebook offers a non-technical, easy to understand approach to wind power. You will learn from our first-hand experience, including mistakes,of installing and operating a successful wind system. This first step is perhaps one of the most important. You will learn from start to finish how to efficiently and successfully harvest wind energy. We'll show you how different turbine designs affect performance, lifespan and cost. This will help you choose a turbine suitable for your wind regime. The turbine itself is the most critical component of the system. Because it is a machine with moving parts, its design will play a large role in determining the success of your system. Here we get in-depth and review specific, residential size horizontal axis wind turbines currently being sold in the U.S.
All our opinions are fair and unbiased since Power-Talk.net is not affiliated with and would not benefit from promoting any companies or products. These reviews are exclusive to this ebook and you will not find them or anything like it anywhere else. We do not merely copy info from the manufacturer brochures, but dive into the designs of each turbines and how they should perform in a real-life application. Discusses the pros and cons of different tower types. Believe it or not, terrain can play a large part in selecting a tower. You will be able to choose the most suitable tower for your location. Wind power isn't exactly a walk in the park! It's not easy or free. We will not give you inflated expectations, empty promises, cookie-cutter examples or try to sell you on wind power in general. We will not build up your hopes of magically eliminating your electric bill! You will get a more realistic view of what you can and cannot expect from wind power. We simply take some of the mystery and intimidation out of this form of renewable energy. It doesn't take a rocket scientist to participate in wind electric generation, only someone willing to make it happen. (That's you)! "The Complete Consumers' Guide to Wind Power walks you through the options for wind power. Written from the perspective of people who actually depend on wind power, this ebook is a practical solution for anyone looking into this option for themselves." You will be on your way to producing clean, efficient wind power! That is the purpose of the "The Complete Consumers' Guide To Wind Power ebook". Our goal is to offer you the best information needed to make the right choice in purchasing a wind turbine and the related components. 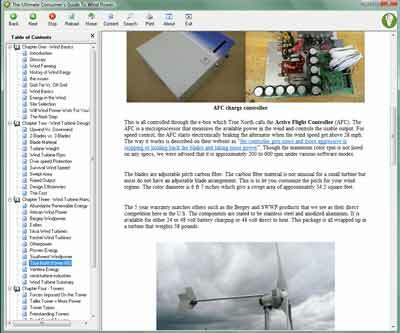 This wind power ebook will be useful whether you plan to have your system professionally installed or do it yourself. "The Complete Consumers' Guide To Wind Power ebook - 2011 Edition"
This 200+ page wind power ebook comes in a PDF and HTML format which can be downloaded immediately after purchase. Using Adobe Reader provides the best results when using the PDF version. Fully comptible for both Windows and Mac users. You really only have two choices. (1) Keep paying the electric company a hefty chunk of money each month or (2) You become your own electric company. It's really a no brainer. By using the valuable information provided in this wind power e-book you will be able to take that first step towards effectively reaping the rewards of wind power. 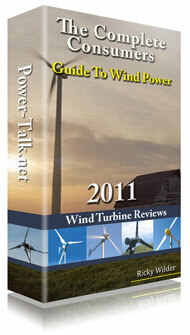 Plus, this is the ONLY wind power ebook guide that includes candid reviews of current wind turbines! You will not find another book like this anywhere else! Wind energy systems have key concepts that are critical to understand. There are numbers and terms that are constantly tossed around by people wanting to sell you a wind system. Knowing how this information will apply to your real-life situation can help you sift through the gloss and get to the bottom line. This is the type of knowledge a dealer or installer would prefer you not have. It can expose whether they are really knowledgeable in the subject or not.